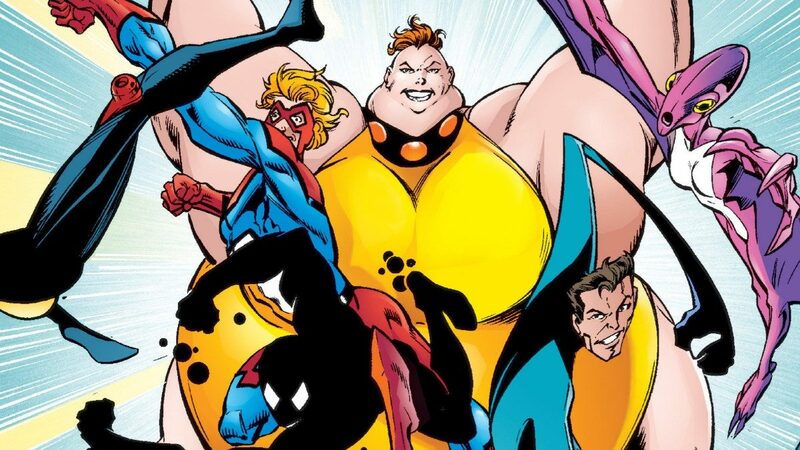 This week’s minorities in cartoons entry is the Great Lakes Avengers, a Marvel superhero team. The GLA first appeared in “West Coast Avengers” (vol. 2) #46 (July 1989). John Byrne created the superhero team. The team ‘s meant to be a “joke” superhero team and group of C-list superheroes, even in-universe. Marvel Universe denizens view the GLA as inept, annoying, or only having marginally-useful superpowers. The GLA is quite close-knit, even in spite of the dim view the Marvel Universe holds of them. Mr. Immortal (real name: Craig Hollis). A mutant, Mr. Immortal’s a man whose power is immortality. That is, he’ll always come back to life from whatever kills him, and thus can’t die. His power’s sometimes played for dark humor (a la Kenny from “South Park”). Flatman (real name: Matt, also has gone by “Dr. Val Ventura”). A mutant, Flatman possesses the ability to stretch and flatten his body. Thanks to this, he’s often mistaken for Reed Richards (of the Fantastic Four)… which usually disappoints others when they learn it’s not Richards. Over their various series, Flatman came out as gay. Doorman (real name: DeMarr Davis). A mutant, and the team’s sole African-American member. He originally had the power to turn his body into a portal, but only to transport things into a limited area, usually a neighboring room. However, he eventually inherited the mantle of an “angel of death,” and so occasionally escorts the souls of the deceased to the afterlife. The team’s had a changing roster over the years, including the death of several members (sometimes as gags). One such deceased member was “Dinah Soar,” a founding teammate (a member of a pteranodon-like lost civilization). In 2016, the team received a new book, which saw the GLA move from Milwaukee to Detroit. There, they picked up a new member, Goodness “Good Boy” Silva, a teenage girl with werewolf powers. Minorities in cartoons: "The Amazing Chan and the Chan Clan"